Over the past 6 weeks, I have had the opportunity to listen to many of my father’s lessons and stories, and think about the questions he posed. My next few blogs will replay some of these. 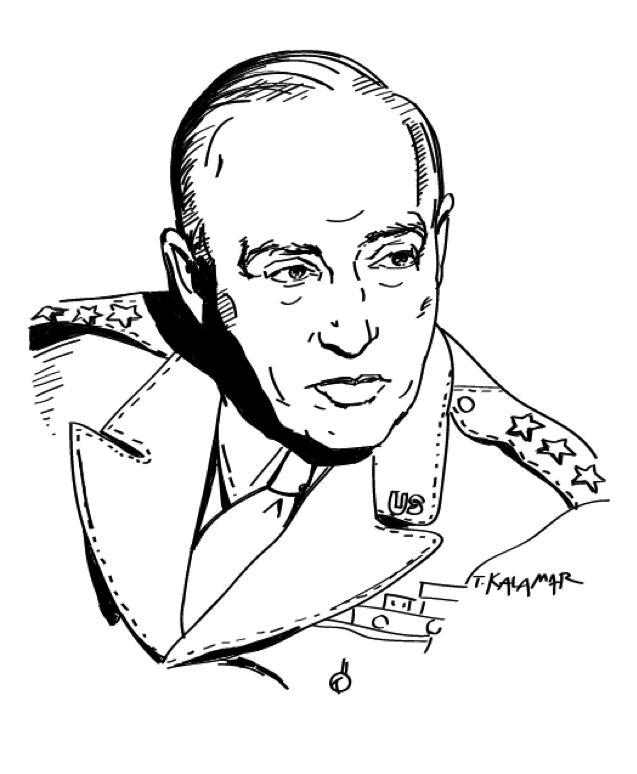 General George Patton: My father served in General Patton’s artillery division as staff sergeant. Patton assembled a bilingual intelligence unit which provided essential logistic information on the movement of the Germans as the American army progressed into Europe. My father’s mind was challenged to gather vital information to his unit’s advancements and then calculate the angles and positions for artillery fire. Following D-Day, in August of 1944, the heavy artillery as part of the U.S. Third Army was driving through France. As they were chasing the Germans, and approaching Colmar, Patton asked my father and his team to assess if they had the power and position to blow up a monumental stone bridge that was out of sight. It appeared as if the Germans were heading towards that bridge to cross the Rhine. Subsequently, General Eisenhower called it, “One of the most successful missions in modern history .” We cut the Germans off and more than 30,000 did not cross that river. As my father told the story, he was in awe of Patton’s ability to make the decision at the moment, understand the risks, trust the team completely, bet on it’s success, and own the results – even if it had failed. Patton thanked my father, regardless of the results. My father’s last words were thank you. Felix “Phil” Haas, Provost Emeritus of Purdue University, passed away on Tuesday, July 16, 2013, surrounded by his family at his daughter’s home in New York. Known as “Phil,” Haas was born on April 20, 1921, in Vienna, Austria. In 1938, after the Nazi takeover of Austria, he was sent by his parents to live with an aunt and uncle in London. A year later, he immigrated to New Jersey and worked in a factory for four years, until joining the U.S. Army. He served as General Patton’s Artillery Sergeant in World War II. After the war, even though he lacked a high school degree, he was admitted to MIT, where his tuition was covered by the GI Bill. 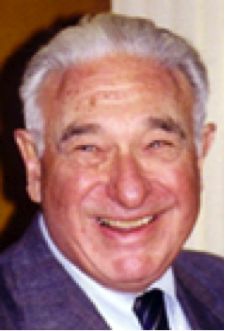 Within six years of entering MIT in 1946, Haas had completed his bachelor’s degree in physics, chemistry and mathematics, and his PhD in mathematics. During his time at MIT, he met and married his first wife, Violet Bushwick, who also earned a PhD in mathematics from MIT. They had three children together: Richard A. Haas of Shrewsbury, Mass, Elizabeth Haas Edersheim of Scarsdale, NY, and David R. Haas of Westfield, NJ. On completing his Ph.D. in 1952, Phil began a series of academic appointments—Instructor at Lehigh University, Fine Instructor at Princeton University, and Assistant Professor at University of Connecticut. He moved to Wayne State in 1957, where he became Head of the Mathematics Department and, then moved to Purdue University as Chair of Mathematics in 1962. Phil served Purdue for more than 40 years and became the first Dean of the School of Science after its creation in 1962. In that role, he helped launch the country’s first computer science department, recruiting many scientists at the cutting edge of their fields. He then served as University Provost (1972-86). Recalling his 14-year period as Provost, Haas commented, “I was fortunate enough to work with presidents who allowed me to look to the future, hire the best people and effect changes.” He believed a university should be a place where scholars and students are free to collectively pursue their research interests and interact to serve society’s needs. He felt privileged to work at a Land Grant Institution whose mission it was to give all students the opportunity to pursue higher education regardless of their economic backgrounds. After retiring as Provost, Phil returned to Purdue as the Arthur G, Hansen Professor Emeritus of Mathematics and taught for 15 more years (1987-2002). Beginning in 1991, he taught pro-bono in exchange for a commitment from Purdue that his teaching would relieve non-tenured female faculty members with young children of their teaching loads. During this time he received awards for having achieved the highest student rating of any mathematics professor a number of times, and helped design many of the honors courses. In 2006, Purdue renamed one of its two Computer Science buildings in honor of Felix Haas. He was pre-deceased by his first wife. He is survived by his second wife, Margaret, his three children and their spouses, Richard (Ann Mitchell), Elizabeth (Steven Edersheim), and David (Dana Stevens), and seven grandchildren, Derek, Brian (Yen-Hua Yu), Andrea, Jacob, Alvin, Claire, and Violet. He has been a guide and inspiration to many and his family will miss him dearly. 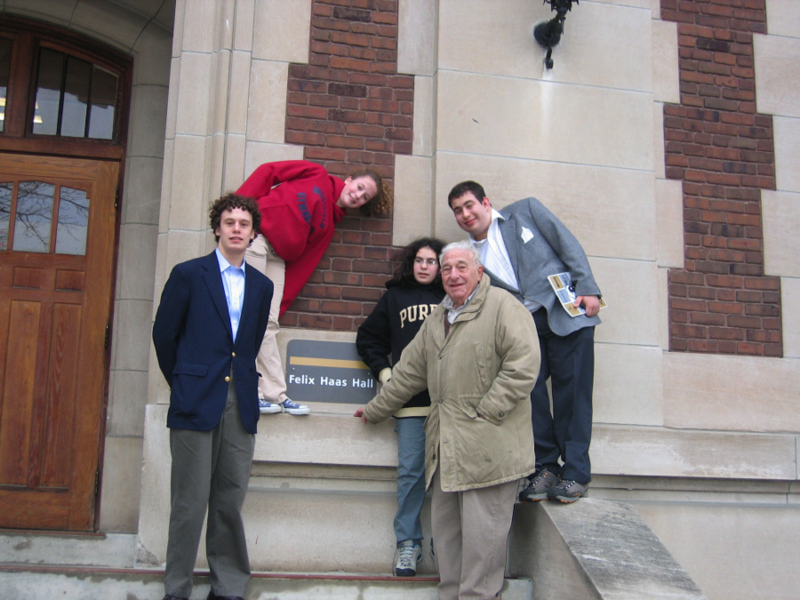 The Felix Haas Memorial Fund has been established at Purdue University to support faculty members with young children who wish to have the time to pursue their passion for scientific or applied research without having the burden of a heavy teaching load. The family is holding a private graveside burial, with a public memorial service planned for this fall in West Lafayette, Indiana.